Elizabeth Oppe and Charles Moore are this year's recipients of the WVU Heebink Awards that recognize faculty members who embody WVU's land-grant mission of teaching, research and service. Elizabeth Oppe, recipient of the Beginning Service Award, is a teaching associate professor in the public relations program in the Reed College of Media. 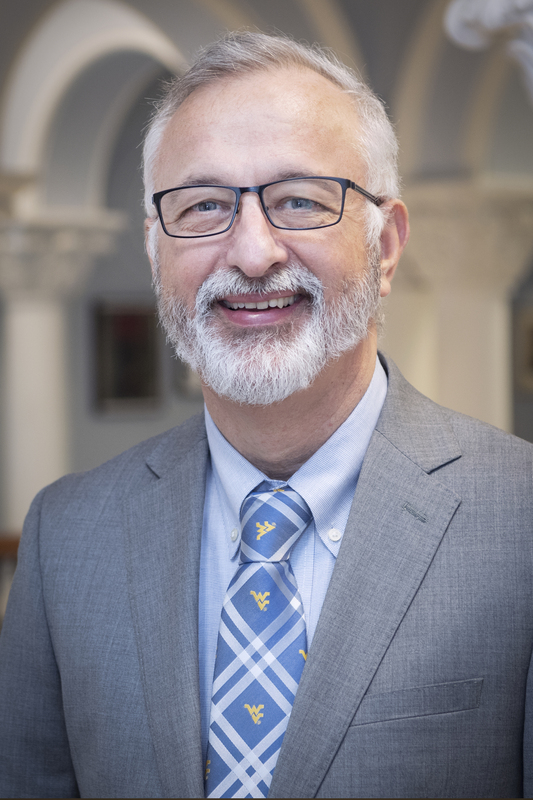 Born in Phillipi and raised in Morgantown, Moore has dedicated his career to providing eye care to underserved populations in West Virginia and around the world. At the WVU Eye Institute, Moore provides comprehensive ophthalmology services and performs cataract surgeries. He completed medical school, an internal medicine internship and residency at WVU, then volunteered as a liaison between the WV Lions and the Eye Institute to expand the Institute’s impact through the development of relationships with other institutions. He soon began planning and operating a mobile eye-care unit, eventually providing free surgeries to Lions-sponsored patients. Moore currently serves as the medical director of the Adult Low Vision Program and as a consultant for the Louis A. Johnson VA Medical Center. He is also a fellow of the American Academy of Ophthalmology. Through the Appalachian Vision Outreach Program in the School of Medicine, his team provides vision screenings, general and sub-specialty clinics and education to approximately 1300 patients in underserved areas of West Virginia. On his own time, Moore volunteers for mission trips to St. Lucia and Panama. With assistance from Alcon, a global medical company specializing in eye care products, he provides surgical supplies and donations for patient care, extending his impact on ocular health across the globe. 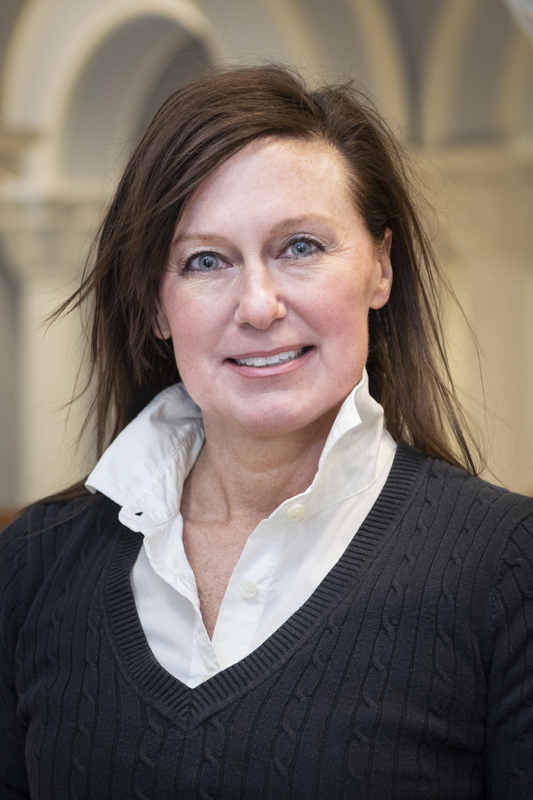 A West Virginia native and a WVU alumna, Elizabeth Oppe has been a faculty member in the Reed College of Media since 2011. In addition to teaching courses in public relations, Oppe developed and teaches Communications and Public Relations for Executives in the Executive Master of Business Administration online program offered through the Chambers College of Business and Economics. Prior to coming to WVU, Oppe held faculty positions at Florida State College at Jacksonville, Glenville State College, University of Charleston, West Virginia State University and West Virginia Wesleyan. She also worked as a sideline reporter for CBS College Sports. Oppe earned her Ph.D. in instructional and organizational communication from Ohio University, where she focused her dissertation on service learning, combining her background in business and education with community service. At WVU, she works with students planning nonprofit and community projects, demonstrating to them to the power of a life of service in their community. A collegiate athlete, she was inspired to begin the Get Moving! Day of Play, which promotes physical activity and healthy lifestyles for children in the mountain state. The Heebink Award for Distinguished Service, awarded annually, was established by David Heebink in 1982 in memory of his parents, Ethel and Gerry Heebink, two former University employees (Department of English and WVU Extension Service). The Heebink Award for Beginning Service is awarded biennially and was established in 1992 as a complement to the initial award. Both awards are given to faculty or staff members who have “used the unique resources of the university” and their own professional expertise to provide an educational or public service benefit to the citizens of the West Virginia. Both Moore and Oppe will receive honoraria in professional development support ($3000 for extended service and $2000 for beginning service) and be recognized by President Gordon Gee and Provost McConnell at the annual faculty and staff awards dinner at Blaney House in April.